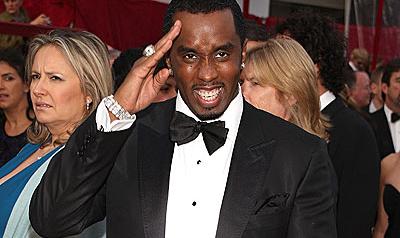 Sean “Diddy” Combs made a dash for his car earlier this week after learning undercover NYPD officers were checking guest at New York’s club M2 for weapons. Combs was at the club on Monday (Feb 2) to celebrate the birthday of DJ Clue. He was to co-host the event with Kobe Bryant but was caught off guard when he and his 6-man entourage discovered guests were being patted down at the door. According to the New York Post, Combs “went nuts, saying, ‘Why are you disrespecting me like this? Why are you doing this to me?’” A member of his entourage was able to return to the group’s car, unsearched, during Combs’ rant. After realizing he couldn’t gain access to the club without being searched, Combs and his crew sped away leaving hosting duties to Bryant. The Lakers guard, fresh off his history making game against the Knicks in which he scored 61 points, partied till 4 a.m., leaving behind a $2,000 tip for his waitress. Sanaa Lathan Returning to the Stage in "Cat on a Hot Tin Roof"